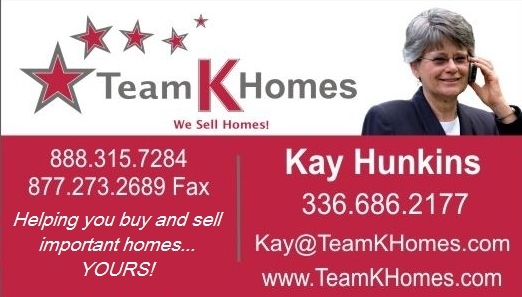 Who is KAY HUNKINS, Realtor & TeamKHomes? I am a native of Burlington NC, and I've lived in North Carolina all my life. From the mountains to the coast, there is no better place to call home. 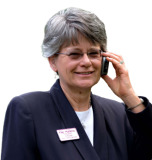 I began my real estate sales career in 1988 as a Realtor and NC Real Estate Broker. In 1993 I also became a Certified Residential Appraiser. Professionally, I bring more knowledge and expertise to the real estate transaction than a typical sales agent. As a native of the Triad area of central NC, I've watched towns like Burlington, Greensboro, High Point and Winston-Salem grow into viable cities. Small towns like Mebane, Elon, Gibsonville, Whitsett and Saxapahaw have repurposed from farming communities to high tech neighborhoods while maintaining the character and quaintness of times past.